March turned out to be a great month thanks to alternating international/domestic, hot/cold destinations, from Quebec City all the way down to Trinidad and Tobago. This month it’s back to Europe and time to start thinking about what’s happening in the mountains this summer. One thing I’ve learned as I’ve traveled through mountain towns such as Vail, Aspen, and Salt Lake City is that for as much as everyone loves a good snowstorm, the summer is really the best time to be amongst the peaks. I’ll start off the month with a conference to learn more about summer in Aspen, and I’ll work my way east from there. Conundrum Hot Springs near Aspen, Colorado, the highest elevated natural hot springs in North America at 11,200 ft. Photo by Wake and Wander. Aspen, Colorado: While I never thought it would be possible, I just might get in one last day of skiing next weekend in the Rockies on my third visit to Aspen. In August, I told the story of the 9-mile journey to Conundrum Hot Springs for Outside Online. In December, I made my first winter visit to the infamous ski town, finally getting on the slopes and learning a local secret to help budget travelers navigate the town’s pricey restaurants. This time, I will be attending a conference that will preview travel opportunities and adventures for the coming summer. Aspen is one hell of a party town, so don’t expect me to work too hard. Aerial shot of Boston on a clear day. Photo courtesy of AOL Travel. 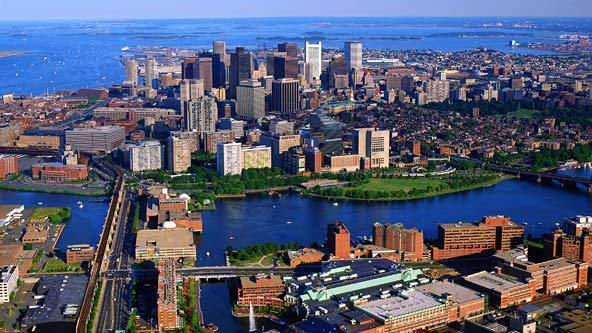 Boston, Massachusetts: I haven’t been to Boston since I toured Boston College when I was 17. My outlook on the world has changed just a tick since then, I presume, and I’m happy to finally be getting a look at the city again. It’s the weekend of the infamous Boston Marathon (in which my sister is competing), and it will hopefully feel a lot like spring. The city should be jammed, and I also hope to attend a game at Fenway. The Hill of Crosses in Lithuania. Lithuania: At the end of the month, I will catch a flight from New York City and visit two countries by the Baltic Sea, starting with Lithuania. This will be my first visit to the country, and my second to the Baltic Region (I visited Stockholm in January). 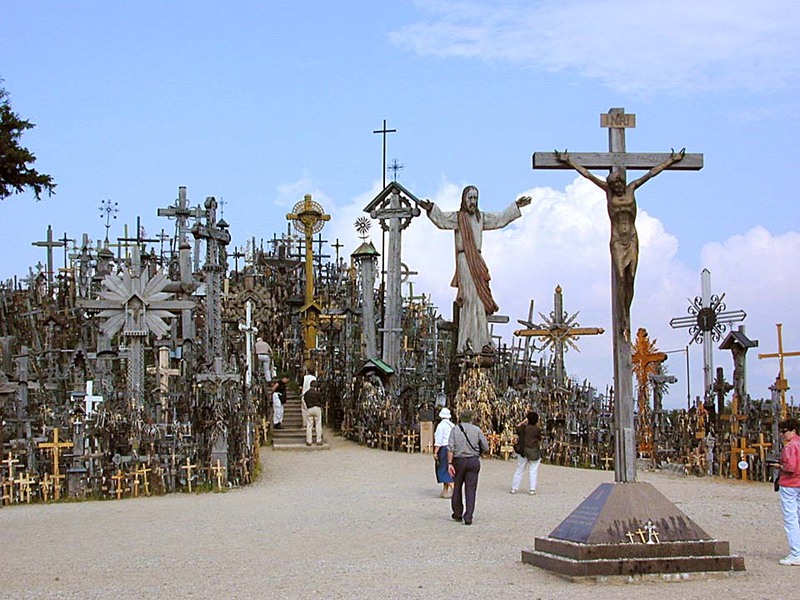 The Hill of Crosses, shown above, seems pretty ridiculous, and apparently crosses are somewhat of a thing in Lithuania. The Curonian Spit sounds like my kind of place as well. I don’t have an exact itinerary as of yet, but I’ll have more details as the month moves on. 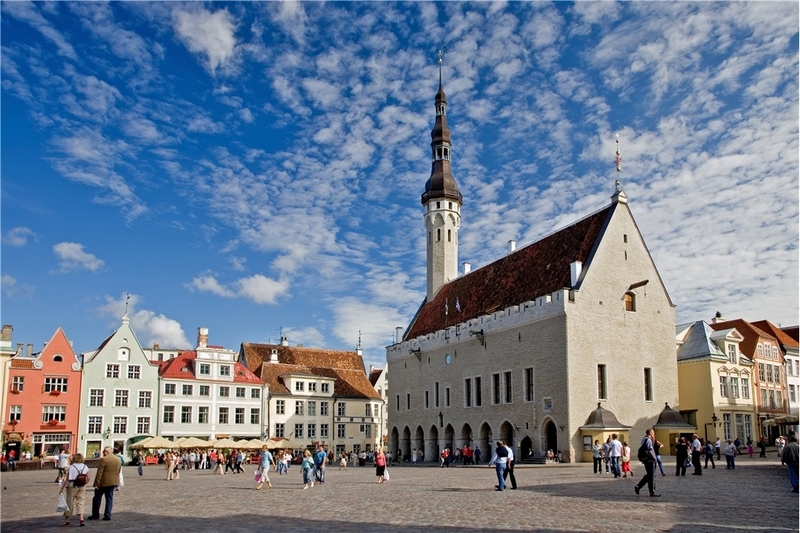 Town hall square in Tallinn, the capital and largest city in Estonia. Estonia: After visiting Lithuania, I’ll travel north to Estonia. Did you know that there are 1,500 islands off the country’s coast? Or that the architecture of Old Town Tallinn brings you back to the 11th century? An aerial shot, shown below, gives you some perspective on the incredible layout of the town. You can see the church in the center, which is the centerpiece of the photo above. I’m looking forward to standing in that square. 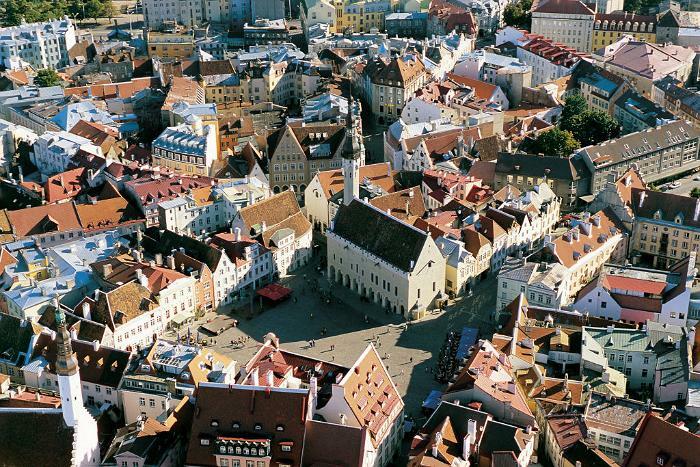 Tallinn’s Medieval Old Town in Estonia. Stay tuned, and you can follow along for on-the-go photos on Facebook and Twitter. Hey no problem! Just link back to me and give credit to Wake and Wander, please!